Oversized cards measure 3-1/2" X 5-1/2 inches. Issued by Blatz Gum out of Milwaukee, Wisconsin. Facsimile signature on front. Blatz Gum advertising and checklist on reverse. 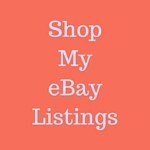 ACC (American Card Catalog) designation R197. 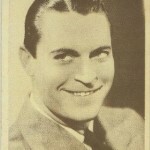 Issued no earlier than 1927 because Edmund Lowe's signature includes that date. Likely issued 1928. I base the 1928 date upon a newspaper search for Blatz Gum advertising which is extremely heavy for the years 1927-1928. A 1927 article about Blatz refers to their sensational new gum. A 1928 article refers to Grape as their new flavor. Grape is one of two flavors advertised on back of the Blatz Gum Favorite Screen Stars. 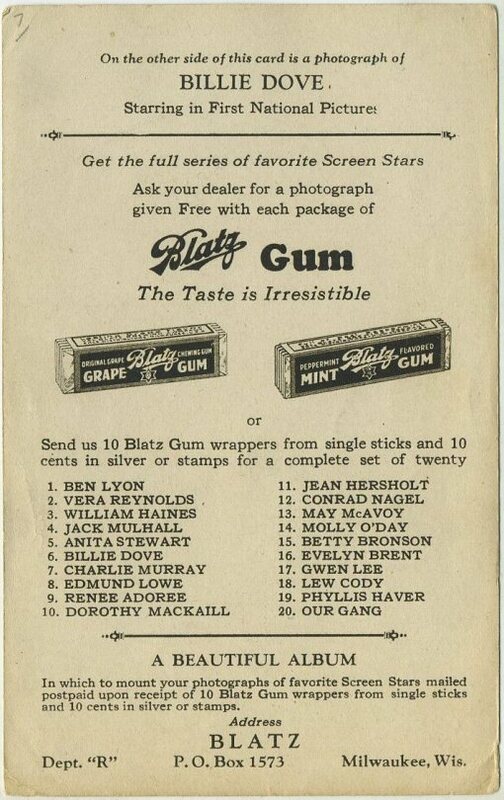 Also in 1928 Blatz sometimes ran promotions giving away their gum to children inside movie theaters. Blatz Gum was very active in the press during these two years. A promotional card set seems consistent with their other activities. The following gallery shows off the complete set of 20 Blatz Gum Screen Stars Trading Cards. 12 - Conrad Nagel - Metro-Goldwyn-Mayer and Warner Bros.